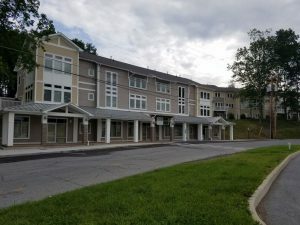 Clapper Structural Engineering PLLC has over a decade of experience providing a wide range of structural engineering services in the Hudson Valley and surrounding areas. With the vast experience in structural engineering, we provide innovative yet practical structural solutions that help your projects be successful and meet the needs of the construction budget. Owner and Founder, Bryan Clapper, graduated from Rensselaer Polytechnic Institute in 2007 with a Master’s Degree in Structural Engineering. Since then, he’s provided his service and expertise in designing for hundreds of homes, buildings and bridges. Our mission at Clapper Structural is to continue to grow and better serve you, our client, through our ever-evolving training, knowledge and experience. Our outstanding response time and ability to keep communication open and constant sets us apart in our industry. From designing to implementation, we make it our top priority to keep you informed at each phase of your project. Our firm takes a design heavy approach on each structure we design to maximize the efficiency of the structural systems and elements. Our firm uses advanced 3d modeling and analysis software, building the structure in our software prior to the contractor building it in the field. Our approach allows the client and contractor to view the structure before it is built significantly reducing change order request during construction. We understand the importance of the time, investment and hard costs going into your project. That’s why we take the time to provide you with creative solutions backed by advanced calculations maximizing the efficiency of the structure and successfully keeping the project under budget during each phase of construction.